Kimberly Lanning was born and raised in the town of Bellefontaine, Ohio. Lanning and her sister grew up on a farm, taking care of community animals like pigs, sheep, and even goats. She enjoyed horse trail riding and horse show circuits throughout her childhood. Out of highschool, Lanning pursued dreams of becoming a nurse as a unit clerk in the ER. When realizing nursing school didn’t fit quite into her niche, she used her resources at the hospital to attend Urbana University to receive her Bachelor’s Degree in Business. From there, Lanning wore the title of Director of Alzheimer’s Unit at a nursing home for seven years. 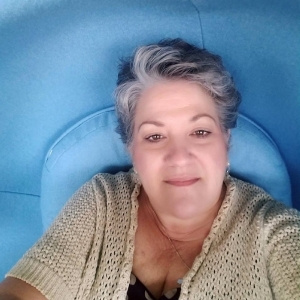 Here she cultivated her desire to work with geriatrics and use her organizational skills to passionately set up those in assisted living for success. When Lanning transferred to Home Healthcare and Hospis, she met an attorney that peaked her interested in care coordination. Thus sparked her now five year career at Caring Avenues as the current Care Manager for those that need intensive life-care.